We kicked off the new year by visting Billings, Montana, where it is still bitterly cold! This project will run from January 1, 2017 until February 15, 2017. 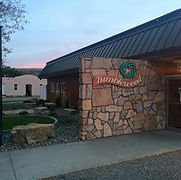 Tumbleweed Program offers a drop-in center for ages 14-24 that provides food, clothing & hygiene items, safe secure environment, group activities, shower & laundry facilities, and counseling. They also offer a residence shelter program for agest 16-21. They would like hats and scarves and hat/scarf sets in styles that would be appealing to both genders in this age group (14-24). We will be doing a KAL for this project, so check out our KAL thread on Ravelry! When sending, please remember to include the Sharing Our Gifts tag. Send to: Tumbleweed Program Attn: Kelsey Wagner 505 N 24th Street Billings MT, 59101 Happy Creating! Finish, and repeat (if you want). To help at least one charitable cause in each of the 50 United States by donating handmade goods or by other means. Writing, photography and images © 2007-2015. All rights reserved. You may not reproduce or copy any of this content without prior written permission. I am not a doctor, nor a practicing attorney. The views and opinions expressed on my blog are my own, and are not meant to treat or diagnose any problem or illness. Before making any life changes, you should always consult with the appropriate professional or family member.